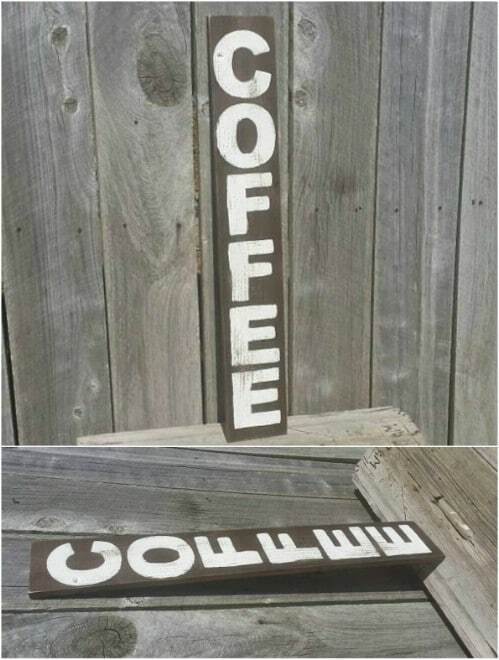 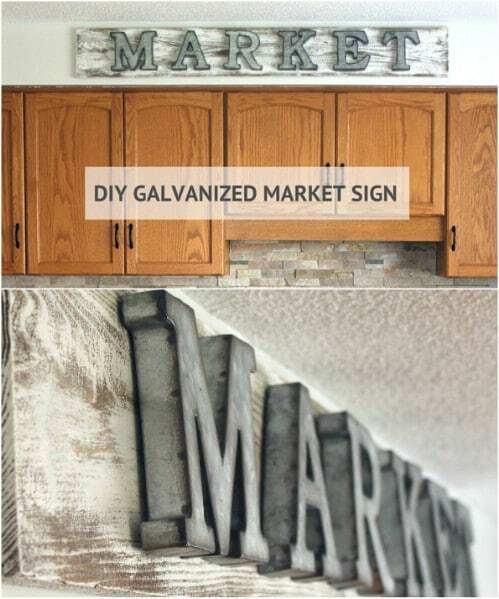 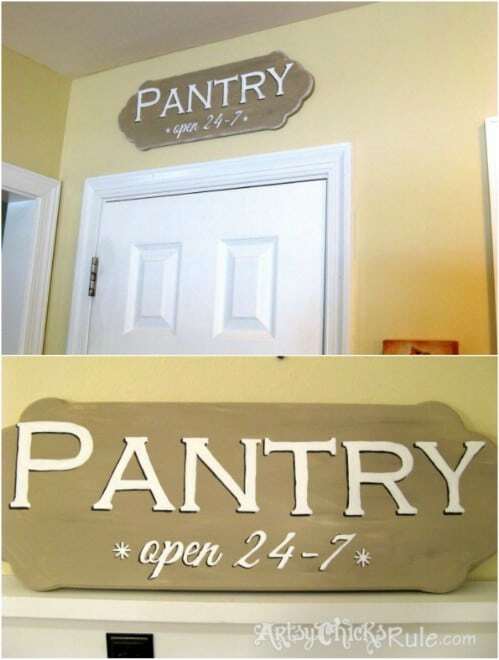 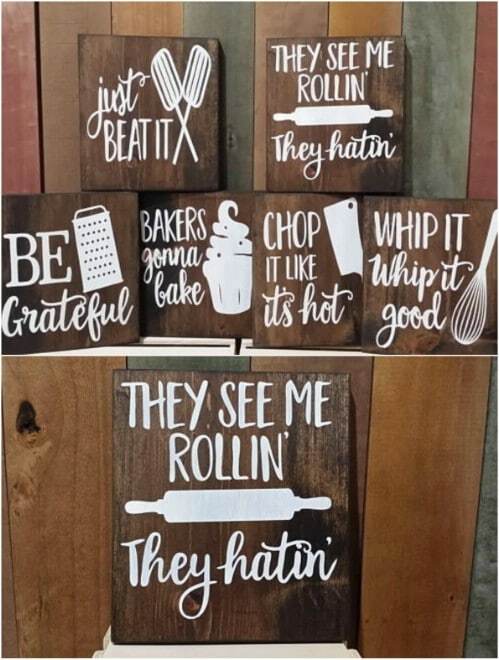 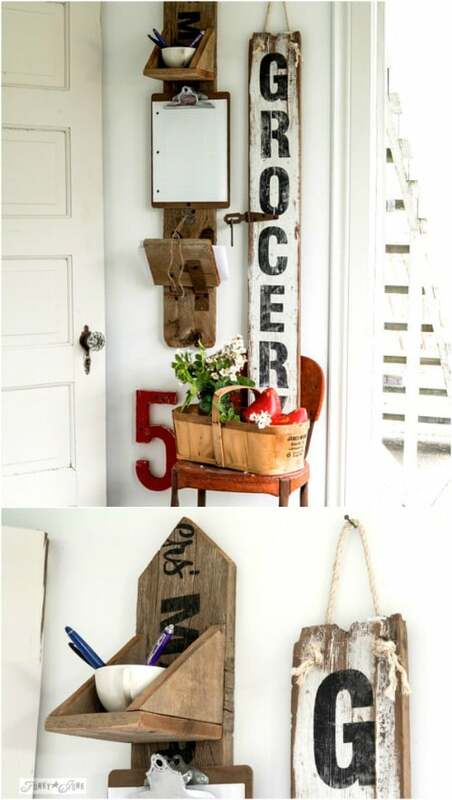 Nothing says rustic farmhouse like a wood sign, right? 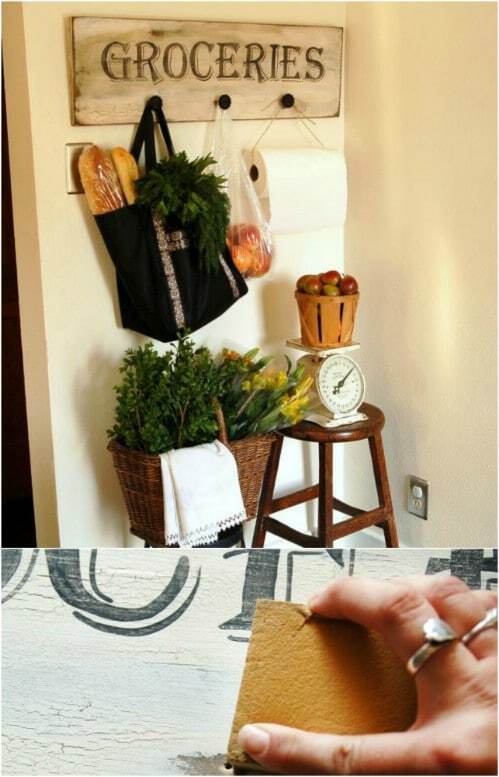 There are so many ideas for how to create your own sing. 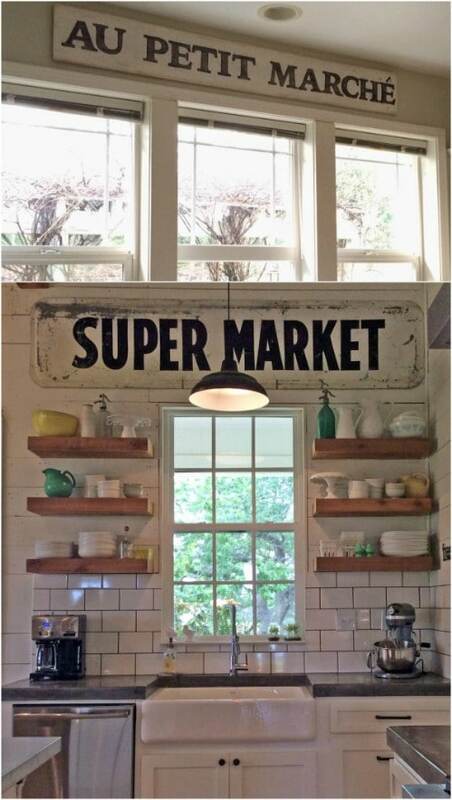 Let your range hood make a statement in your farmhouse-style kitchen, like this eye-catching barnwood-covered piece that conceals a basic. 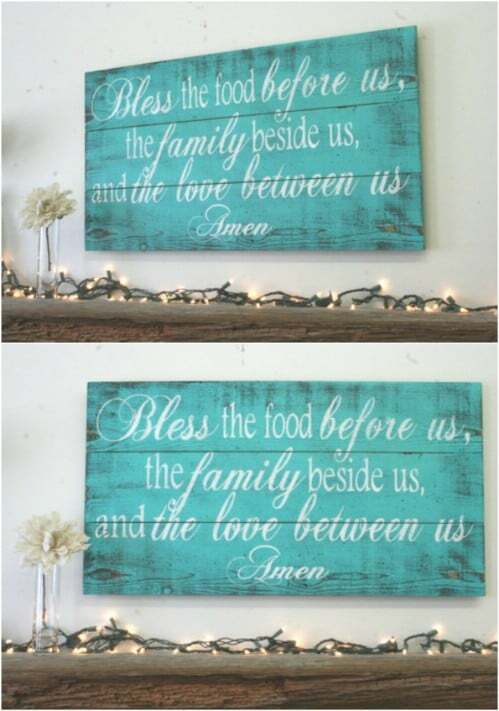 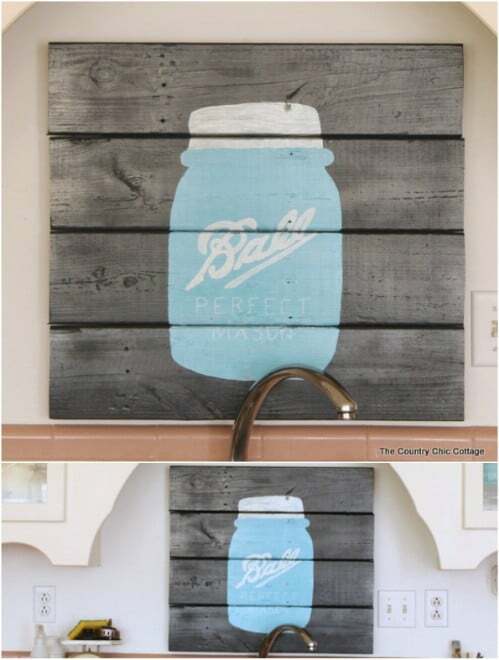 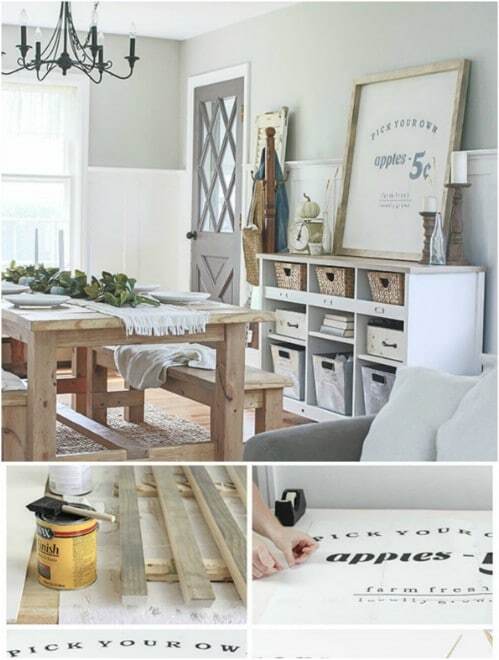 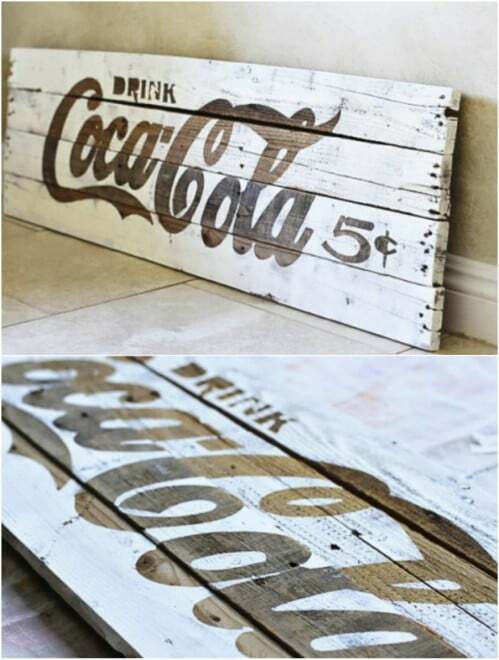 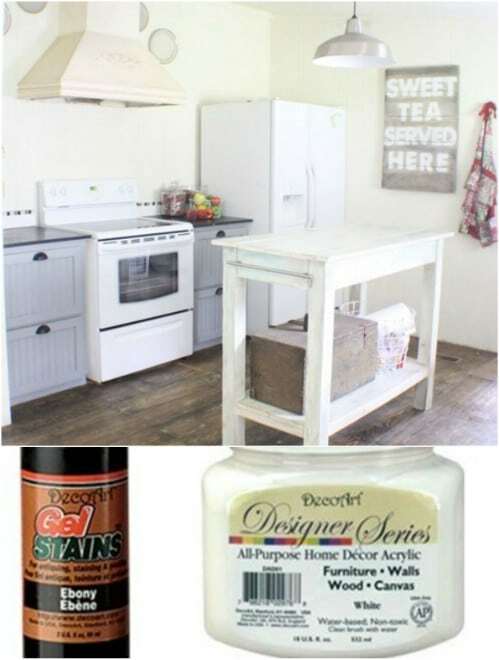 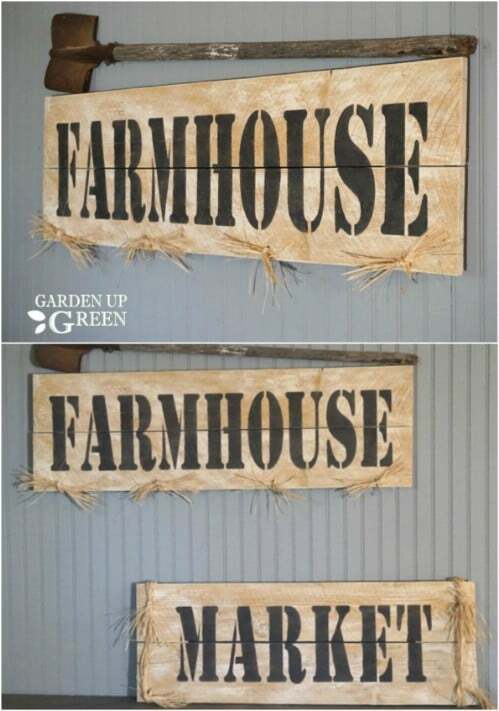 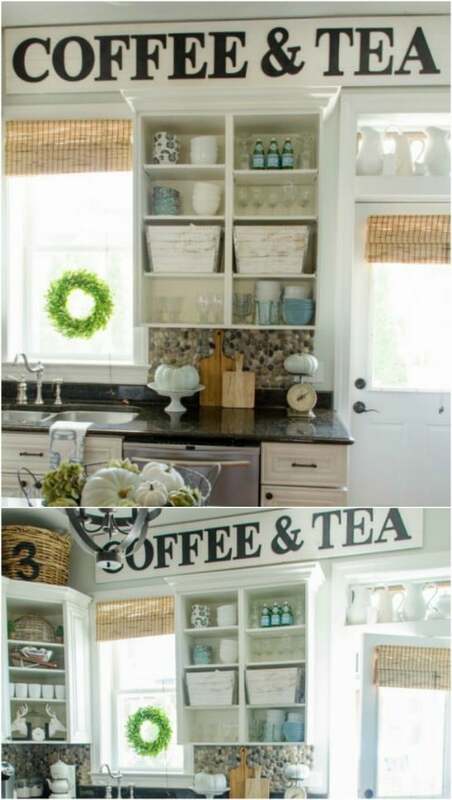 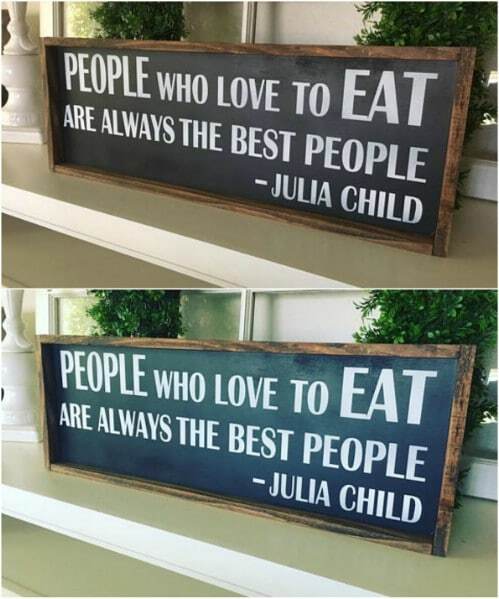 Create your own farmhouse style DIY signs with one of these great ideas!